In just 10 minutes, our HIPAA primer will provide the clarity you've been craving. We are healthcare veterans who have great empathy for the regulatory hurdles that healthcare technology companies must navigate. Since 2013, we we have been on the front line of Healthcare Compliance, partnering with many healthcare technology companies to take care of regulation, so they can continue to innovate. Our specially-designed technology automates and enforces many of the requirements mandated under the Health Insurance Portability and Accountability Act (HIPAA), enabling developers and engineers to focus on features and functionality, rather than regulatory compliance. If you have questions after reading this manual don't hesitate to ask. 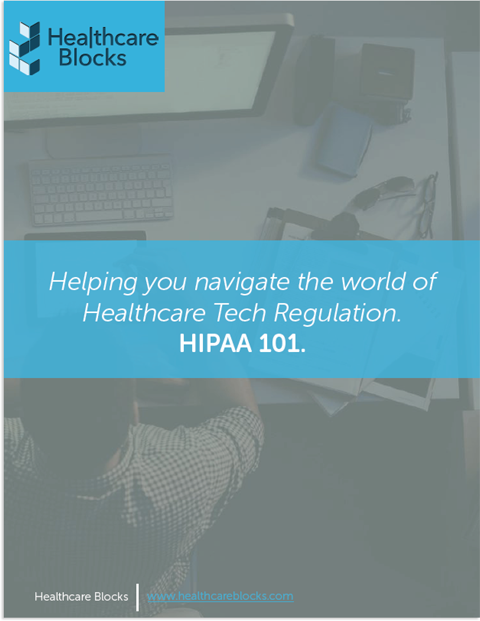 In 10 minutes, our HIPAA Primer will provide an easy to read and understand overview of the regulation. Our platform relies heavily on Amazon Web Services (AWS), leveraging its hardware and myriad services, in a complex orchestration that keeps your environment up and running and enables us to keep an eye on things. Start small with a single instance for prototyping or running staging environments and scale out to a multi-instance high availability environment when you need to store real patient data. After your environment has been provisioned, it only takes a few minutes to setup and deploy your application. No need to rewrite any code or integrate with any APIs - just git push and your app is running on Healthcare Blocks. Our customers praise our top-notch technical support because we've built our organization around servicing other healthcare companies. We're a virtual extension of your tech team, owning the traditional "DevOps" role.